Let’s be honest, there are very few foods that are as good as tacos. 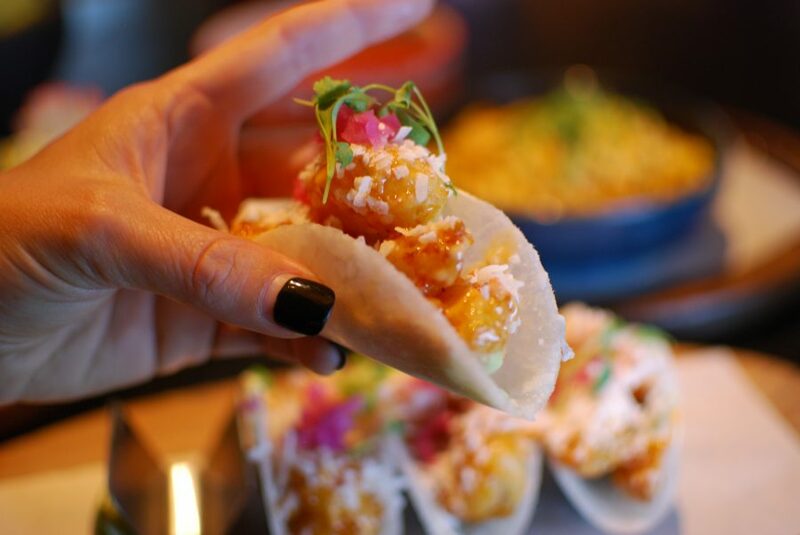 Here at Borracha, we are all about all things tacos. This is why you will find so many different tacos on our menu. However, we aren’t just about the tacos we already have on our menu—we are all about thinking outside the box when it comes to tacos. In fact, we think that anything can be turned into a taco. And we mean anything. Just take a look at some of the biggest items on our menu and we will show you how these items can be made into tacos. Our shrimp ceviche is one of the most popular items on our menu and for good reason. This is a great appetizer for sharing, but all you need is a few tortillas and this can also be a great taco as well. Just scoop some of our ceviche on to some tortillas and you have some fresh shrimp tacos. If our Chicken Loco makes you crazy for Mexican food, then we have a whole new way to try our famous dish. Order a side of tortillas with this popular chicken dish and eat it as a taco, or use your leftovers to make delicious tacos the next day—either way it will taste great. There is nothing quite like our slow roasted pork carnitas, and when you order our appetizer option, you get a hearty serving of this pork. You can take the pork and all of the sauces that come on it and put it together into your own tacos for a meal that is sure to leave you feeling full and satisfied. Our popular skirt steak is one of the most popular items on our menu and it is hard to want to mess with perfection like this entrée. However, if you want to try out our steak in a new way, then you can use this delicious steak and some of the rice and beans on the side mixed together into one delicious taco. Our delicious, flavorful Tostada Salad paired with some shrimp or chicken is a delicious meal. It also makes a great filling for a taco. Just add some flour tortillas and you have a delicious meal that we know you will love. Just order a side of Mexican Red Rice and Beans and you have a huge taco plate you are sure to love. Looking for a kid-friendly way to make a creative taco? Try our bean and cheese dip put into a tortilla. It is simple, delicious and is sure to satisfy even the pickiest of eaters. Plus, it is an easy way to make one of our most popular appetizers into a meal. So, next time you come to Borracha, don’t just look at our menu of tacos. Take the time to browse through the rest of our menu as well when you are craving tacos. 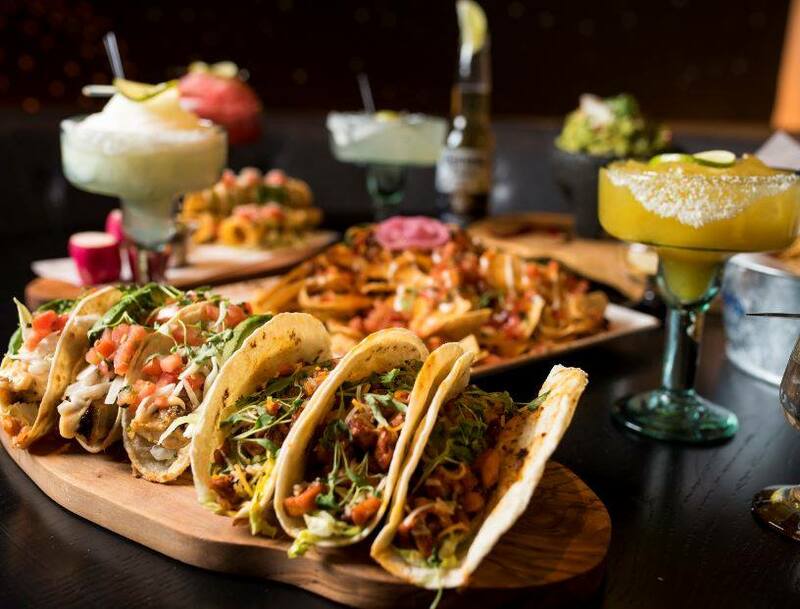 Just think of our menu as a list of ingredients for you to turn our delicious dishes into an inventive new taco you are sure to love.